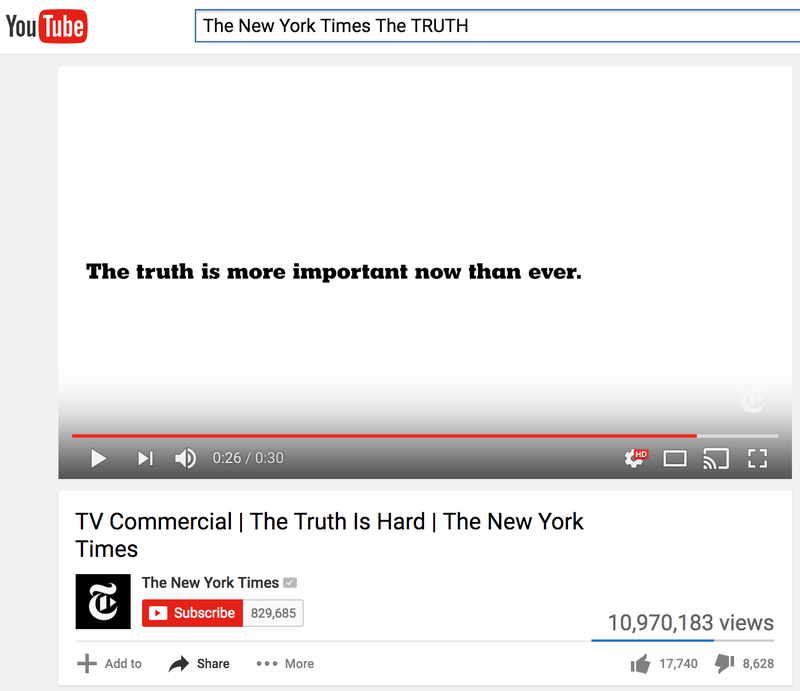 But is T Brand Studio, the successful brand marketing unit of The New York Times that produces paid native advertising for the newspaper, making it harder to discern the truth? Does providing content that relies on smart journalistic skills, but is not part of the editorial or journalistic sections of America's pre-eminent newspaper creating greater confusion in the minds of media consumers? 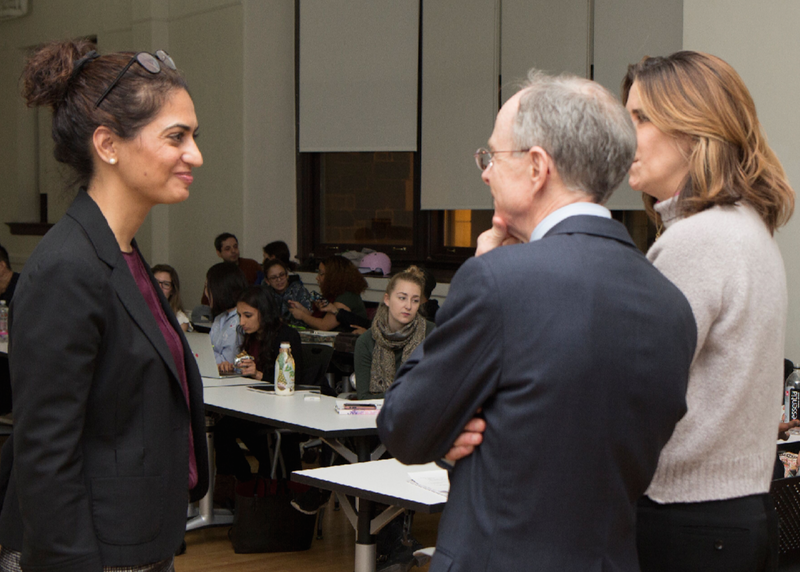 To help answer those questions, BIC Professor Angela Chitkara invited Adam Aston, Editorial Director of T Brand Studio, and Deirdre Sullivan, Chief Counsel, to her BIC Leadership, Ethics and the Law class to discuss. By evening's end, it became clear that content delivered via the T Brand Studio is thoroughly and legally scrutinized, has a much longer timeline to air, and is more expensive to produce than most pieces that exist on the other side of the editorial divide. Taking students through the regulations associated with all paid media, Ms. Sullivan was also joined by John Hancock, VP and Managing Director of the Energy Intelligence Group, who was on hand to review similar regulatory practices and ethical dilemmas presented in the paid/earned/owned spaces which are becoming more and more difficult to tell apart. While no definitive answers were reached, the conversations in our BIC classrooms were certainly more informed.